“Topic Code 2A: Greener Manufacturing of Plastics. 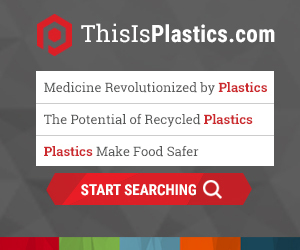 Develop for a specific plastic or family of plastics that has significant negative public health and environmental impacts an improved manufacturing process that (a) eliminates the use of one or more toxic chemicals in the process, (b) greatly reduces the amount of energy used to carry out the process, and/or (c) eliminates one or more toxic pollutants that currently result from the process. Comparison with the currently used manufacturing process and assessing the overall life cycle of the plastic(s) are integral to this topic. A third topic is “Cleaner Manufacturing Processes for Dyes, Paints, and Inks.” The program is part of EPA’s Sustainable and Healthy Communities (SHC) research program. Reviewers must commit to a two-day virtual Panel Meeting (no travel required) in February 2017, and be able to confirm they do not have a conflict of interest. For interested businesses that have not yet submitted an application for the award, October 20 is the closing date (see Solicitation; Reference Number SOL-NC-16-00038). Phase 1 awards of up to $100,000 are available to small business able to demonstrate proof of concept in areas such as manufacturing, toxic chemicals, water and greener buildings. Those companies are then eligible to apply for Phase II funding to advance and commercialize their technologies. Applications must be submitted electronically through FedConnect; general information is here and frequently asked questions are here.